Based on horizon scanning, interviews and expert knowledge, the mission of the 5G Roadmap working group is to identify short (~3 years), mid-term (~5 years) and long-term (~10 years) research, innovation and technology trends in the communications ecosystem. This will enable the development of a concrete innovation and engagement roadmap guiding the IEEE community towards maximum impact contributions across its societies, and in conjunction with its demand-side as well as the wider industry and standards ecosystem. The outcome shall be a live document with a clear set of (accountable) recommendations; the document shall be updated annually and be developed in conjunction with the other working groups. Roadmap team members should check calendars for meeting information. If you wish to join a roadmap working group and be included on these calls, contact the team chair. 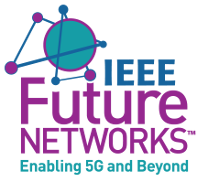 The Systems Optimization working group within the IEEE Future Networks Initiative has been formed to explore various approaches to manage complexity of future systems with non-traditional design and operational methodologies. One of the first uses of self-optimizing or self-governing systems came about in cellular radio systems, with the Self Optimizing Networks (SON) capabilities specified by NGMN and 3GPP for optimization of resources across heterogenous access networks. These systems, however, are based on static policies and limited in functional scope that address 3GPP RAT (Radio Access Technologies) only. The IEEE FNI is exploring use of emergence to address full stack self-organizing systems, i.e. multi-layer and multi-domain organization and optimization of multiple functional stacks comprising of heterogenous radio resources (e.g. 3GPP and non 3GPP RAT), fixed access and transport resources (e.g. optical wavelengths), and compute and store infrastructure resources contributed by disparate providers. For example, one of the approaches under study employs principles of ‘Emergence’ to drive confluence of Cloud and Communications systems with Emergent Intelligence, wherein, Emergent Intelligence is the order that results from the non-linear interactions between components at different level of a self-organizing Cloud and Communications grid system such that overall intelligence of the system is greater than the sum of the individual intelligent components. At IEEE FNI, we are engaged in assessment of future scenarios that are difficult to address (if not impossible) with traditional approaches. Distributed Security and Mobility Management across heterogenous RATs for ultra-reliable low latency applications, and optimization of handoffs for the same is one of the most pertinent area that needs immediate attention.